Use this heat demand calculator to determine the amount of heat a building (or a part of it) needs during the heating period.Enter all building components that border to outside air, ground or rooms with lower temperatures. Interior walls do not need to be considered. You are currently not logged in. The heat demand calculator is currently in the test mode and is only available to registered users. 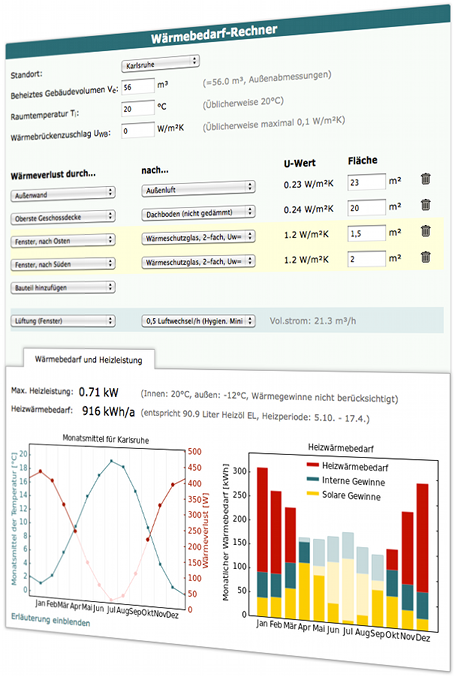 Please login , if you want to try the heat demand calculator. No account yet? Creating an account is fast and free. Click here to create an account.